"So wait, you really don't drink?" I get this question quite frequently. As a 21 year old college student who enjoys going out with friends and socializing at bars and clubs, it is quite unheard of not to drink in such situations. When I go to a house party and am offered a beer, or am chatting with someone new at the bar and am asked if I'd like a drink, I simply smile and say, "Thank you, but I'm all set." 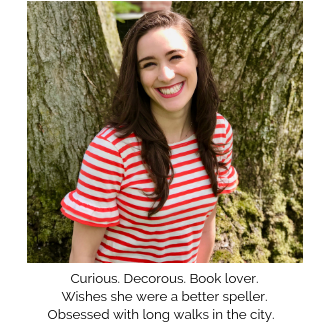 However, as I spend more time with someone and the conversation progresses, or I see them throughout the night and they notice I don't have a drink, I seem to be continually met with a look of slight confusion and genuine curiosity. Coming in to college I thought not drinking would be viewed as uncool, prudish, and downright strange. 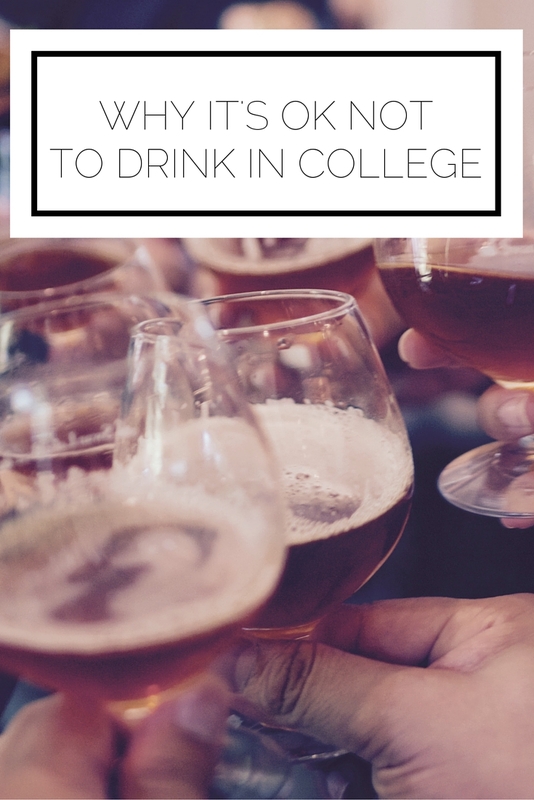 What I've learned is actually the opposite, so today I'm going to share with you why it's really ok not to drink in college. The people who matter won't care. Sure, the guy you meet at a frat party may think you're lame, or the party girls on your freshmen floor might not invite you out, but guess what? That's just fine because the people who matte won't care! You'll make friends who have more in common with you than just looking to "have a good time" and you will learn to have fun in all situations. I absolutely love to go out dancing and have friends who are more than happy to join me even if I'm not drinking. You can be a designated driver and keep others safe. I always offer to drive and take pride in knowing that I am doing a favor for my friends and keeping others safe. Plus, who doesn't love some extra gas money? You can appreciate the choices others make, while being confident in your own. This is a huge one! Judging what other people do and making them feel bad about their choices by looking down on them is not a kind thing to do (remember the golden rule of etiquette is to put others at ease!). When you make the minority choice not to drink, you should not approach a conversation about it from a place of superiority. What I've found is that people are generally truly interested in knowing why you don't drink and learning more about your reasons. This is not an opportunity to convince them they shouldn't drink too, but rather share your own thoughts and invite an open discourse. While there's no need to dwell on it, for me it has been the start of really great conversations on multiple occasions. I am a firm believer that we can each make choices that are right for us, respecting our health and well-being (and this varies for everyone!) and that you should not feel ashamed if you are not part of the majority. How do you feel about drinking or not drinking in college?